One Hundred Stars created a beautiful collection of map scarves printed with vintage maps inspired from different metropolis around the world. 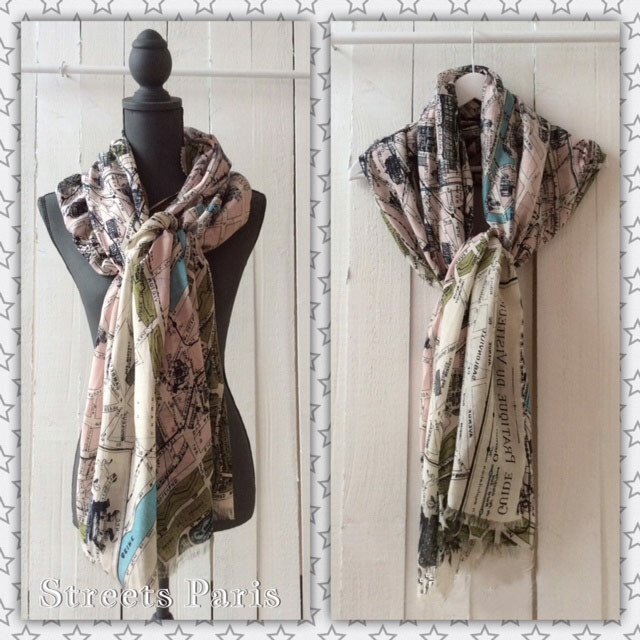 These Map Scarves are ideal for adding a hint of colour and upgrading your neutral, casual outfits with a little cosmopolitan chic. One Hundred Stars scarves are handmade and screen printed giving a unique depth of pattern and colour. 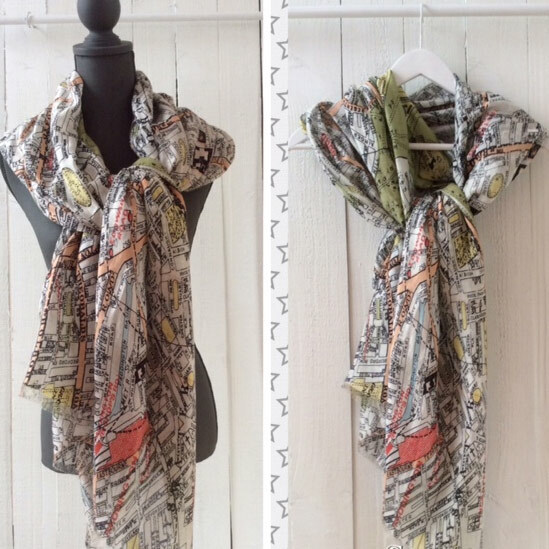 Our map scarves collection includes the Paris Map Scarf, the London Map Scarf, the New York Scarf, the Eiffel Tower Map Scarf and the World Map. Take a look at our Online Shop for more spring inspired fashion and home accessories. 28 Pings/Trackbacks for "Update your Spring Outfits with Chic Map Scarves"